Conveniently store and charge your Xbox One controller with Nyko's Charge Block Solo for Xbox One S. The Charge Block Solo for Xbox One S comes with a 1,200mAh battery and a replaceable battery cover. This allows for an easy drop and charge design, no cord, wires or plug needed. Connect multiple Charge Blocks together from the same or different platform to create your own customer charger*. The power cable for the Charge Block doubles as a charge cable. 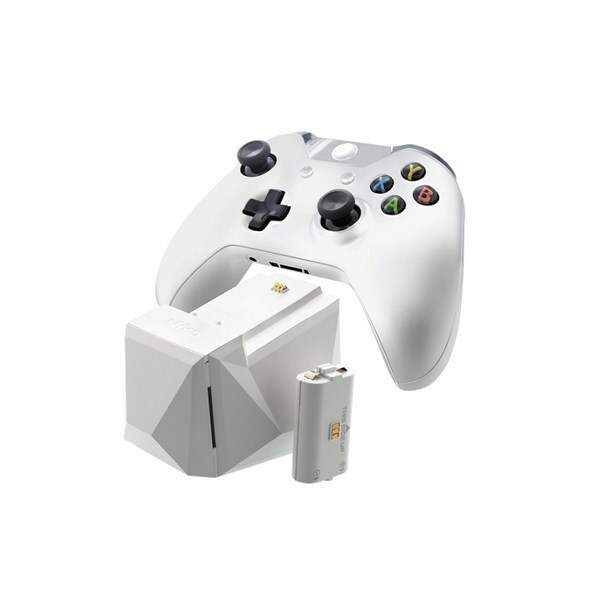 No more low batteries during extended gaming sessions. The low-profile design allows for the Charge Block to fit easily in most entertainment centers while the LED charge indicator keeps you notified of the charging status.